Everyone associated with Brigham Young Academy began to feel a little uneasy a few years after the turn of the century. The Academy, primarily a Kindergarten through Twelfth Grade school, had enjoyed its beautiful one-square-block campus since 1892. 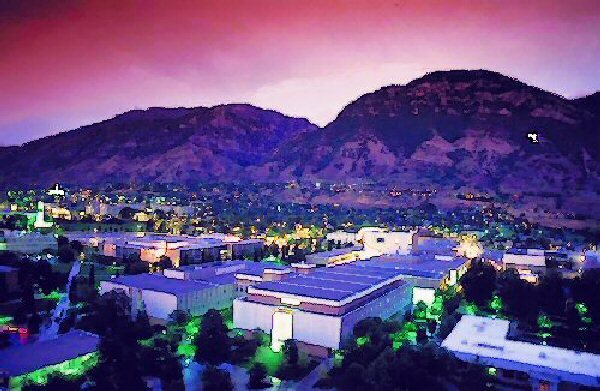 In 1903, just when the Academy block was comfortably filled with buildings, the Academy suddenly received a larger mission: to become Brigham Young University. The vital K through 12 program was far larger than the college program, and there was little or no room for college growth -- no elbow room. Byron Owen Colton had been born in Provo on February 15, 1882. 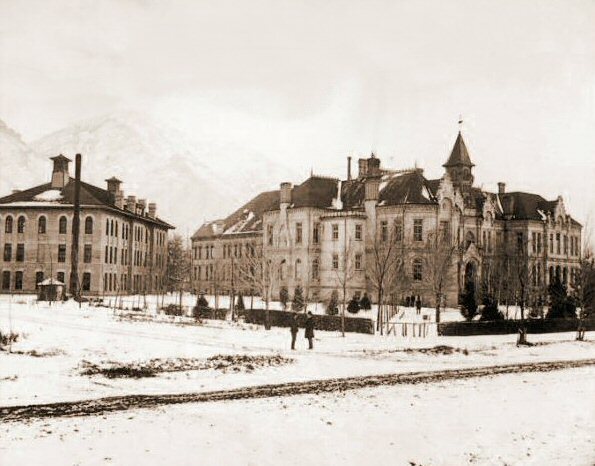 He was ten years old when the new Brigham Young Academy building was dedicated in 1892. He was a student on the Academy campus, and graduated from the high school courses at BYA in 1900. 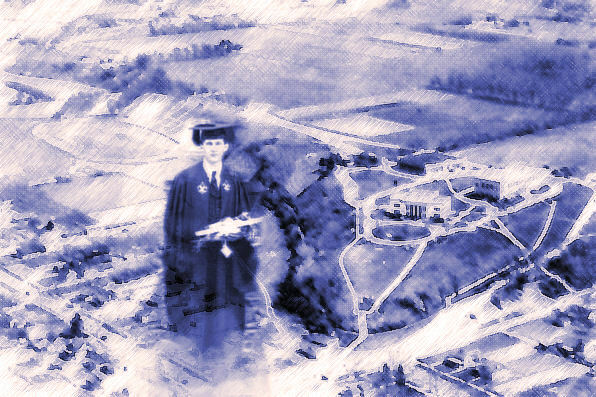 Enrolling in the new college classes on the little campus, he became a front-row witness to history when his Academy became his University in 1903 -- but where would they put a university? Financing his schooling largely on borrowed funds, he often said wryly, "They should call me Byron Owin' Everybody." In the autumn of 1903 when Byron Colton became a BYU senior in the Class of 1904, the new leaders of BYU granted the university students the privilege of organizing the first BYU student body government. Byron's class elected him the senior's candidate to stand for election as the first president of the BYU Student Body. But after the votes were counted, he had been defeated by his cousin, Warren A. Colton, a junior who was the candidate of the Class of 1905. Warren Colton had the edge because he was a part-time teacher and therefore a member of the BYU faculty. However, history had a more important role for Byron Colton to play. 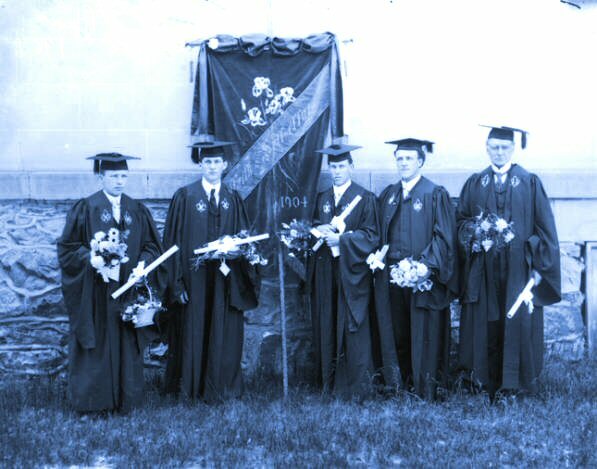 At a December 21, 1903 mass meeting of the new BYU Student Body, a committee of five students was appointed to head an effort to procure additional land for the campus suitable for university buildings and athletic facilities. Byron Owen Colton was named Chairman. Apparently most of the students and faculty felt campus growth was almost a hopeless cause, but not Byron O. Colton. His committee met for its first meeting before Christmas break, but when Colton called a second meeting and then a third, the other members of the committee expressed surprise and some dropped out -- was their Chairman serious? He was. 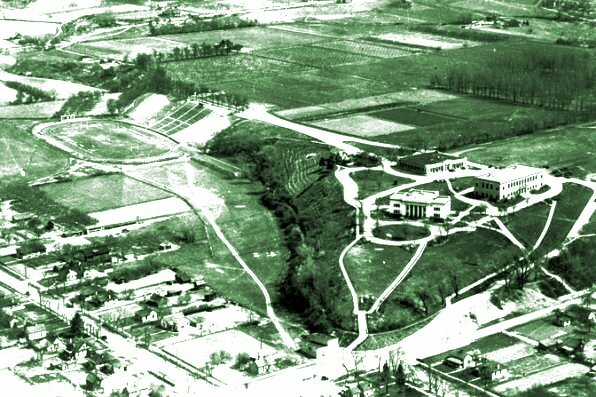 On January 11, 1904, Mr. Colton presented a formal request to the President and members of the Provo City Council, asking the City to sell its land on Temple Hill to BYU. There was a great deal of opposition to this idea, because many Provo citizens and leaders had assumed that the LDS Church would soon build a temple on Temple Hill, as the Church had on similar locations in Logan and Manti. The City Council responded immediately that they lacked approval of the citizens to sell the Temple Hill land, and would not sell it without first obtaining permission from its citizens. At this meeting and in subsequent days, Byron Colton paid careful attention to each person who voiced opposition, and took notes on what they said. Then he and his committee members privately sought out the opponents one by one, asking them to sign a petition to grant the approval required. This gave the students their chance to discuss and persuade. Their theme was "building temples of learning." One by one, the original opponents signed the petition and became supporters of it. Through Colton's hard work and leadership, most of the citizens of Provo became convinced that this was the best route to follow. This story includes only the briefest mention of the work and time devoted by Byron Colton to this effort. Suffice it to say that the sale was actually accomplished. 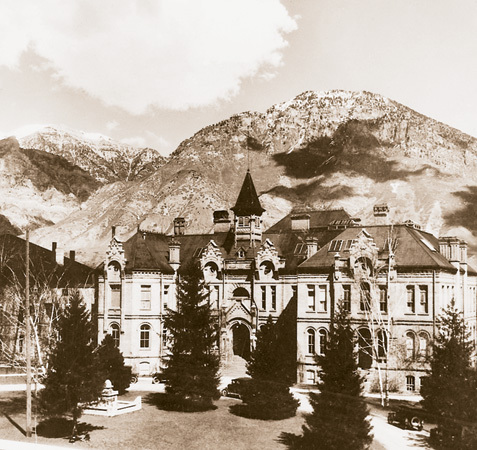 With the establishment of BYU activities on the Upper Campus, the modern era of the University began, thanks to the right leader being in the right place at the right time. 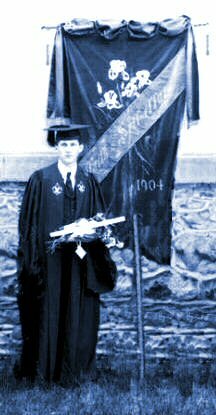 Byron Owen Colton, BYH Class of 1900 graduate, was the leader who achieved that key breakthrough. After graduation, Colton led a busy but quiet life as farmer and irrigation engineer, and eventually became Water Commissioner of the Uintah, Lakefork, Duchesne and Strawberry rivers (1931 through 1961). He was active in Church activities, government, civic and social activities. But he never sought recognition for his key efforts that positively changed the face and direction of BYU forever. In fact, everyone connected in any way with BYH, BYA and BYU, can honestly say, "Everybody's Owin' Byron Colton." Byron O. Colton married Helen Merkley, and they became the parents of nine children. He died November 8, 1973 in Vernal, Utah, and is buried in the Maeser Fairview Cemetery near Vernal.